Tim Congdon is an economist and businessman, who has for over 30 years been a strong advocate of sound money and free markets in the UK’s public policy debates. Tim was a member of the Treasury Panel of Independent Forecasters (the so-called “wise men”) between 1992 and 1997, which advised the Chancellor of the Exchequer on economic policy. He founded Lombard Street Research, one of the City of London’s leading economic research consultancies, in 1989, and was its Managing Director from 1989 to 2001 and its Chief Economist from 2001 to 2005. Tim has been a visiting professor at the Cardiff Business School and the City University Business School (now the Cass Business School), and was a Visiting Research Fellow at the London School of Economics between 2005 and 2007. He was awarded the CBE for services to economic debate in 1997. He is often regarded as the UK’s leading representative of “monetarist” economic thinking. His books include Monetarism: an Essay in Definition (London: Centre for Policy Studies, 1978), Monetary Control in Britain (London: Macmillan, 1982), The Debt Threat (Oxford and New York: Blackwell, 1988), Reflections on Monetarism (Cheltenham: Edward Elgar, 1992), Money and Asset Prices in Boom and Bust (2005), Keynes, the Keynesians and Monetarism (2007), How to Stop the Recession (2009) and Central Banking in a Free Society (2009). His latest book, Money in a Free Society (New York: Encounter Books, 2011) was more specifically a response to the Great Recession. In June 2017 a collection of papers Money in the Great Recession, which Tim has edited, was published by Edward Elgar Publishing Ltd. In June 2009, Tim Congdon set up a new economic consultancy, International Monetary Research Ltd. He has recently established the Institute of International Monetary Research, in association with the University of Buckingham. Tim has been a successful businessman and investor, and is the Institute’s principal donor as well as its founder. The Institute’s purpose is to analyze and explain the linkages between the banking system and the quantity of money on the one hand, and macroeconomic outcomes on the other. Tim is a professor at the University of Buckingham and will be teaching on a MSc course in 2017. 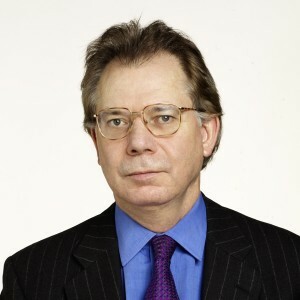 Tim was honorary secretary of the Political Economy Club from 1999 to 2010, and chairman of the Freedom Association from 2011 to 2015. He has since 2008 been a columnist for Standpoint magazine, where he has written and commented about economics, but also outside the economic field which is his main interest. He has been a member of the UK Independence Party since 2007. He was runner-up in the 2010 UKIP leadership election and UKIP economics spokesman 2010–14.